My whole family (with help from friends) just planned and orchestrated a bridal shower for my friend, Katherine Rolfe. I have known Katherine since I was three years old and it is very exciting to celebrate the advent of marriage with her. 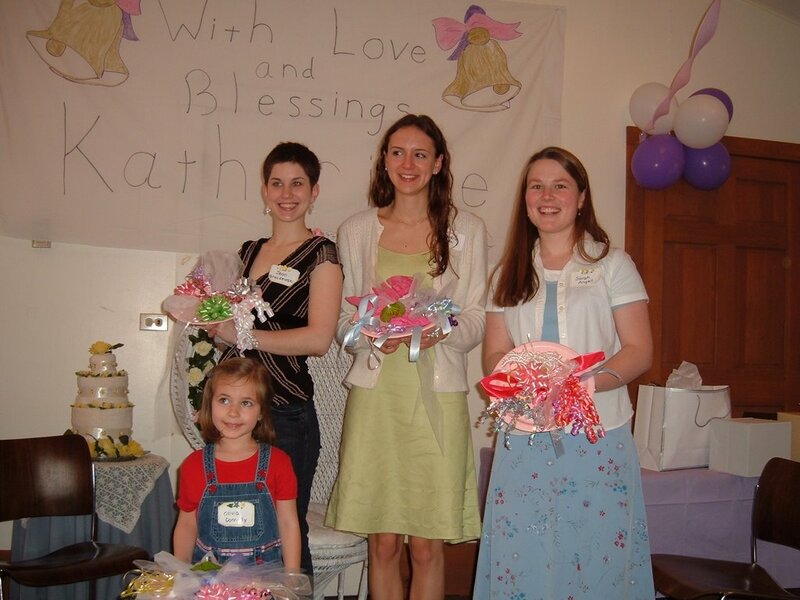 The bridal shower was held at the Quaker meetinghouse and included about 35 women. Many people made the event extremely special, but brother Jacob saved the day by doing dishes in the back all throughout the shower!